The subject line of your email campaign may not traditionally be considered a ‘design element’, but the visual aspect of this part of your email can have an impact on what your reader experiences. With email subject lines, longer is not necessarily better. Research shows that keeping the subject line to fewer than 65 characters is the way to go. If you can make it shorter while retaining the essence of your message, this is even better. Have you ever noticed strange characters in an email, such as a tiny square box or a single “J”? This is usually when the sender intended to use an emoji, however, the emoji is not supported by your email client. There are ways around this, but you should always test what the emoji looks like in Outlook, Gmail and other popular email clients to make sure you are not creating confusion. The pre-header of an email is the short intro that people will see. It is usually just one or two sentences and needs to be kept short (under 70 characters). This means that you should give a bit of extra thought to the first few sentences of your email. Make it compelling enough for someone to click to view the entire email. The graphics in your email can be changed to make it more relevant to viewers. Online clothing brands often do this by showing men’s wear to male subscribers and women’s wear to female subscribers. The imagery you use needs to complement your message, not distract from it. Be careful with stock images as it can seem ingenuine, which will also distract from the message you are trying to get across. 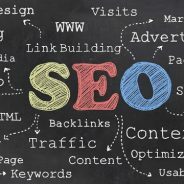 Do you need help with your SEO or email marketing campaign? Then WSI OMS can help you. Contact us for more information today.